NOAA Ship Thomas Jefferson in New York Harbor. 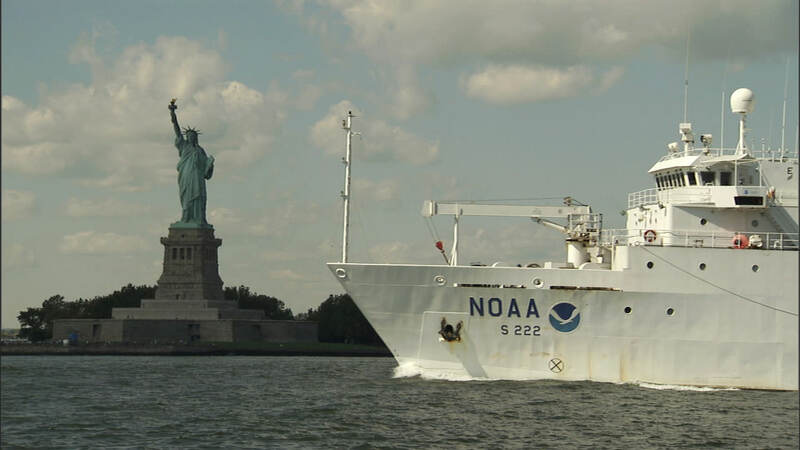 The Thomas Jefferson is one of a fleet of research and survey vessels used by NOAA to improve our understanding of the marine environment. The ship is home ported in Norfolk, Virginia, and primarily operates along the Atlantic and Gulf coasts, including Puerto Rico and the U.S. Virgin Islands. The primary mission of the Thomas Jefferson is to conduct hydrographic surveys for updating NOAA's nautical charts.